Apple Stress Ball saving you from headache’s everyday. Having a stressful day? Just grab your stress relieving apple off of your desk and start squeezing. Keep the doctor away by relieving stress on your own! This small but simple item can save you thousands of dollars by keeping you away from doctors and medication. 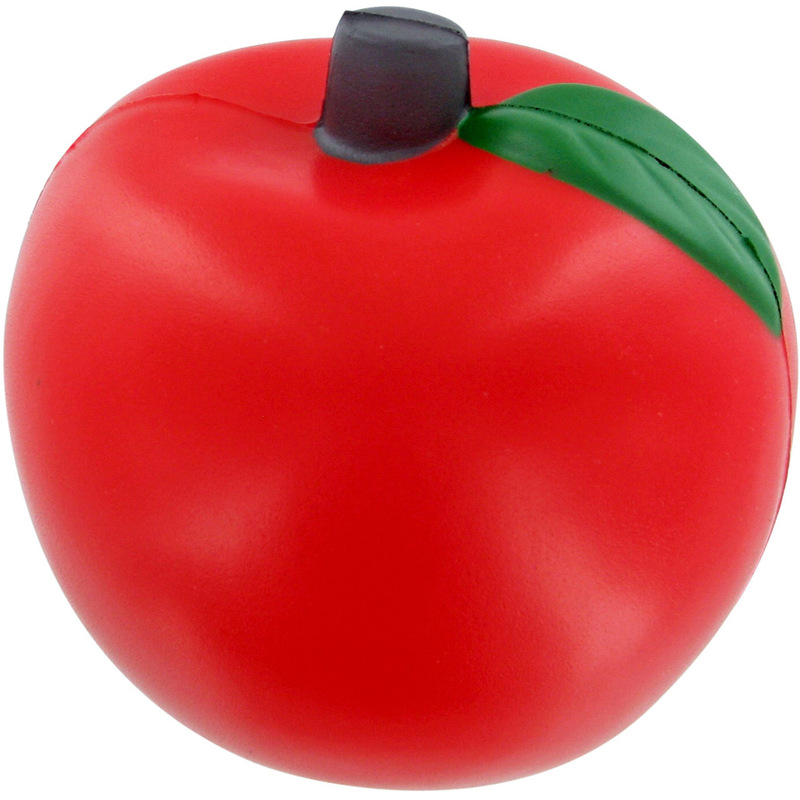 This apple shaped stress reliever comes with a white oval tag that can be imprinted with your company name or logo. The personalized designs provide a great promotional product for schools, food programs, grocery stores, or teachers. These eye-catching desktop companions are perfect giveaways for medical conferences, health fairs and tradeshows. Teachers are going to love them too!